Sunrise Hitek specializes in high-quality digital printing in the Chicago area with customers world-wide. 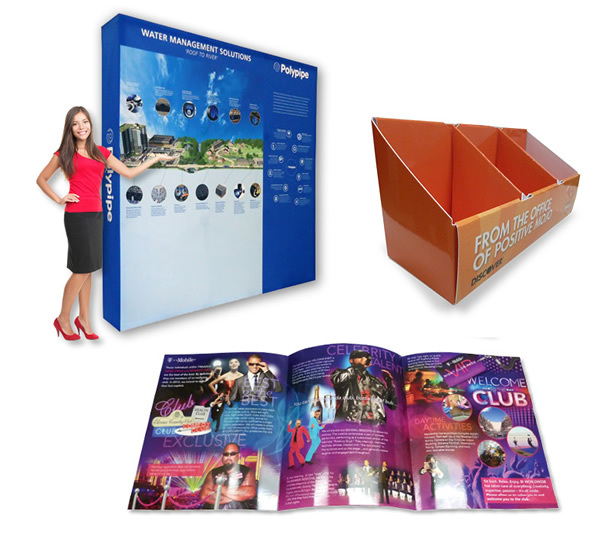 Some of our most popular trades how items include Hopup Portable Backdrop, full-color Table Cover and our unique Pole Sign 360 that stands out in any busy trade show expo. We also print custom digital die-cut items with our in-house CNC cutter. These items include metal cards, shelf talkers, door hangers, custom packaging and Team Building Jigsaw Puzzles. Hitek makes tech accessories and many can be personalized for your company or school. Rugged iPad cases and Chromebook bags for K-12 schools are very popular. 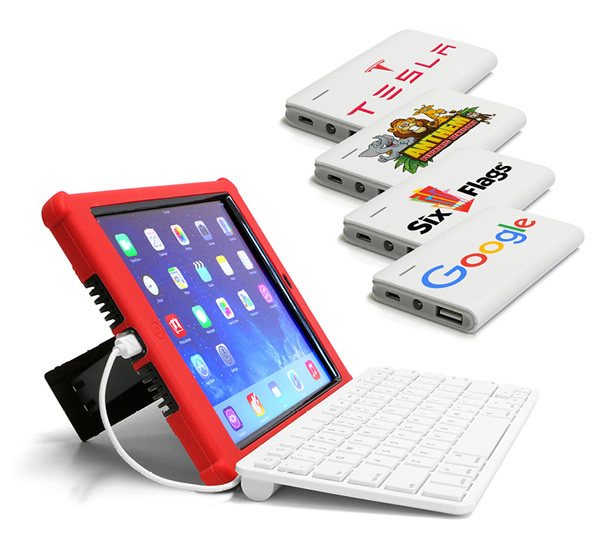 Other best selling products include Slim Tough Case for most iPad models and our new iPad 5th Generation  case, branded power bank phone charger and Apple certified iPad wired keyboards. For a great first impression, Beefy Cards are printed on ultra thick cardstock using super high-resolution digital printing. These cards can be further customized with a wide array of finishing options including bold, colored edges that add a pop of color to any card! Spot UV coating makes your printed piece eye catching, and is perfect for products such as postcards, hand-out sheets, presentation folders, business cards and catalogs, or any product that can benefit from a rich, glossy and dramatic look. Learn how our customer engaged 20%+ of all attendees with a live conversation at a recent trade show, at an average pace of one new lead every 21 seconds! Order your tradeshow premium here. What Do These Customers Have in Common? Sunrise Hitek.